This scarf is made in an interesting variation of a rib. Looks good on any worsted to bulky yarns. 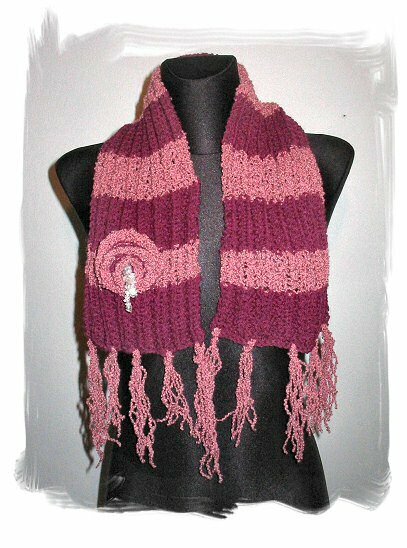 Mine is light worsted wool blend, two shades of violet, width 15 cm/ 6 in, lenght 90 cm/36 in. Pattern is worked on repeats of 4 stitches. CO number of stitches dividable by 4 plus 2. The flower is detachable, pattern found on Knitty.